The Kingdom Hearts franchise is near and dear to my own heart. I’ve played every installment in the series and have gone as far as to buy each console that the side games have come out on. 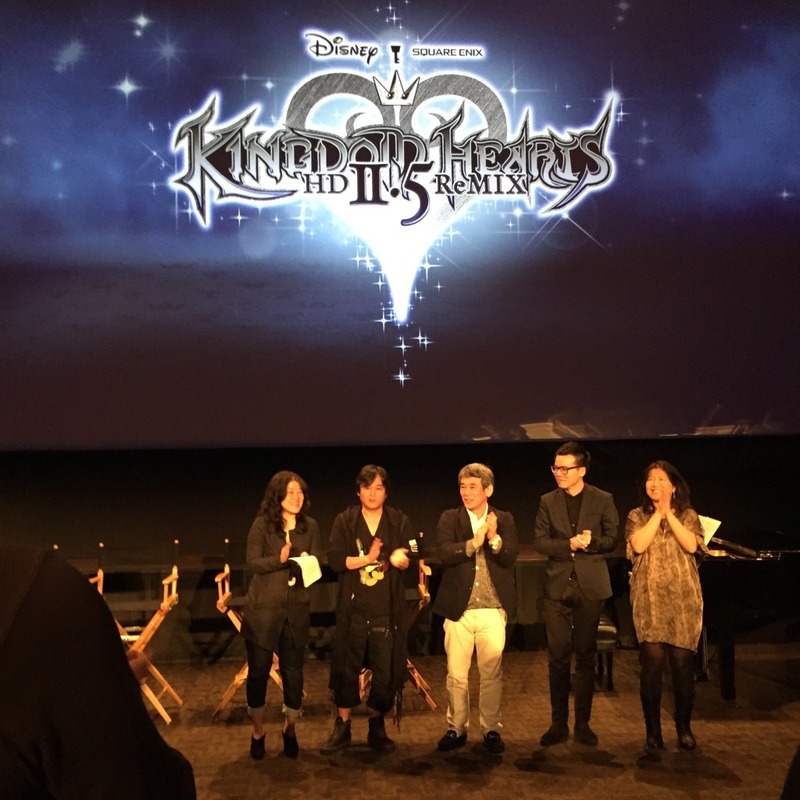 I am truly a die-hard fan and as I attended the “Kingdom With Heart” showcase launch event for Kingdom Hearts HD 2.5 ReMIX, I was given the privilege to interview the one and only Tetsuya Nomura, the game director. The interview was done through his translator, but was amazing to be in his presence nonetheless! MA: What is it like revisiting the game you made 10 years ago? TN: So, the Kingdom Hearts franchise as you already know is a very long-running series and fans have been with us for a very long time, and of course there are also new players that want to join in. But some of them may not know where to begin, so of course we want to bring them in as well. This whole HD remix idea came about so that we can have it in a “digestible form” so that people can jump into the franchise, whether new or existing ,and kind of grasp the story – the overarching story of Kingdom Hearts. MA: What were some of the challenges porting the game from PS2/PSP to the PS3? TN: Actually when [we] were developing 1.5, a lot of the data was very old and so it was very hard to find usable elements. So [we] actually had most of the challenges kind of hit in the 1.5 remixes. In 2.5 many of the titles had a pretty good archive so usable material was available. Plus [we] also had the knowledge from and the experience they achieved from creating 1.5. So, relatively speaking [I] think development process was much smoother for 2.5. MA: Did you know that the franchise was going be as beloved as it is today? TN: To be honest, no [I] didn’t expect it to continue this long, and to expand into such a franchise. [I] was bracing [myself] for Kingdom Hearts to just be a standalone, and so [I] snuck in during the secret movie kind of like a hint, an “open-ended” ending, just in case they can move forward – there’s material there, but if not, you have that mystery kind of presented to you and it would stick with you for the rest of your memories. Thankfully [I] was able to proceed with multiple future subsequent installments. MA: Was Roxas and/or the nobodies not in development after the first game? TN: Let us clarify. It’s not that [I] wasn’t thinking of future titles at all. TN: No, that’s fine, the ideas were of course there. So after Kingdom Hearts came out and the success of it, they got to announce two new titles in the franchise, Kingdom Hearts 2 and Kingdom Hearts: Chain of Memories. And [it was] announced that they were going into development at the same time. Then when [I] was working on those titles, and saw how it was succeeding, [we] announced yet three more titles after that: Birth by Sleep, 358/2 days, and the original Coded. With each step of course [I’m] thinking to the future, so it’s not that [I] didn’t think of it at all. MA: How did you decide to pick which worlds were in the games and which Disney characters to use? TN: I would consult with my team members on the development team and get their opinion on what kind of worlds they would like to see in the game, and kind of select from there, as well as make sure there isn’t an overlap in the worlds. Like if you already have a jungle-like world, you don’t want another jungle-like world. That’s a part of the consideration and once they have an idea of which worlds they want to use, they would consult with Disney to see if it’s usable or how we can incorporate that into the game, so that’s kind of the rough process. MA: Speaking of the worlds which one was your favorite? TN: Pride Lands would be my favorite. Of course the original Lion King was great too, but where you have the little cubs running through the Savannah at really fast speeds, that’s very exhilarating! MA: Yeah, I love that world too. Who’s your favorite Disney character? TN: There’s so many to choose from! There was mention of The Lion King, so of course Simba, but [I] also like Jack Skellington from The Nightmare Before Christmas. Then because [I’ve] been on Kingdom Hearts for such a long time [I’ve] kind of grown an affinity to Donald and Goofy, who have been with Sora for a very long time during his journey. 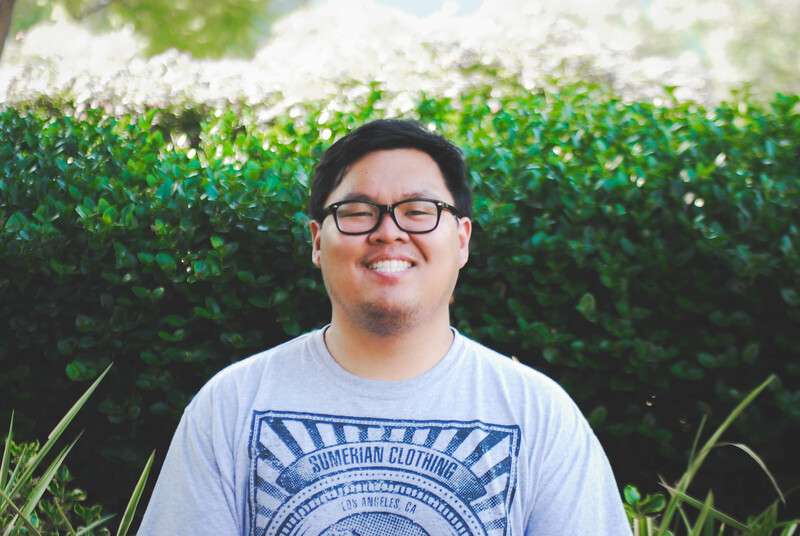 MA: Was it hard to blend Final Fantasy styles with Disney? TN: With each installment, [I’m] sort of starting to feel that. At first especially, because [we] were jumping into it with the know-how and the development process of Final Fantasy. [We] were comfortable making the game in the style somewhere along the lines of Final Fantasy and then blending in the Disney characters. But as the series progressed and a longer time has passed, we want to also keep our great relationship with Disney, so we can’t just do whatever Square-Enix wants. We want to consider and work with Disney to make sure that both parties are working together and everything kind of mixes and matches and we’re not stepping on anybody’s toes. So trying to keep that balance between the two parties is what the challenge would be if asked if it’s hard. And of course [I’m] just starting to feel that, so it’s not like, “Oh, we feel that it’s really hard,” but yeah. MA: What would you say was your favorite Keyblade? TN: (chuckling) We actually had an interviewer ask the same question! [My] favorite is the Oblivion Keyblade. The literal meaning in Japanese translates something along the lines of “a forgotten past” or “a forgotten memory” or “a memory that past.” So in 358/2 days when Xion disappears and Roxas takes her keyblade, he has the two keyblades in his hand, and it just has such an impact of why he has that, even if he has no memory of [why] he has that with him. So that’s why [I] like Oblivion. MA: Oh wow, that’s so deep! All your quotes are super deep like in the first game when Ansem was like, ” You’ve come this far, and still know nothing.” I was just in awe. These quotes are so good! TN: (chuckling) It goes even deeper actually. Xion’s name is based on a name of a flower. In Japan, the flower has a meaning behind it. So the Xion flower means “I won’t forget you.” So it kind of ties in there as well. MA: Yeah like, everything connects with this game, and it’s just amazing how you’ve put it all together. Who would you say your favorite Organization XIII member is? MA: His fight was fun but hard! I played on proud and at first I just couldn’t beat him. For the final mix, did you intend on making it so we could fight the other organization members? TN: Yes, technically you’d be fighting their data forms and it’s going to be a tough battle. Speaking of tough bosses, there is a hidden boss called Lingering Will that’s included in the final mix, and the Japanese fans vote that as one of the most difficult battles to face. So now that it’s included in the final mix it’s gonna be a tough one. MA: I’m excited! Were you ever concerned that people playing KH for the Disney aspect wouldn’t understand the Final Fantasy (FF) aspects of the game? TN: Well, the concern would have been there anyway even if we just implemented brand new characters, and people who aren’t familiar with them. Like people who played for the Disney elements would be like “Oh, who are these people?” So it’s better for us to have characters that we can explain better like Cloud or FF characters in there, if people think that anyway. If you look at the installments as the time progresses we didn’t have many KH original characters and [we] kind of increased their appearance as we progressed through the different iterations, and you see less FF characters appearing in its place. We did that because as KH becomes more well-known throughout the series, people would recognize KH more. MA: So the franchise became more of its own world with FF aspects in it rather than the other way around. TN: Yeah, that’s pretty much the concept. If you noticed Destiny Islands, all the people who were there are from FF, but if you look at KH2, Twilight Town has original characters that are specific to KH. So the concept is to implement more and more KH original characters, and FF characters would be like a cameo or guest appearance in that situation. MA: Lastly, is sea salt ice cream a real thing? TN: They actually have them available in Tokyo Disney. It doesn’t come in a popsicle stick – it’s served in a cup though. MA: What does it taste like? TN: Of course sweet and salty! 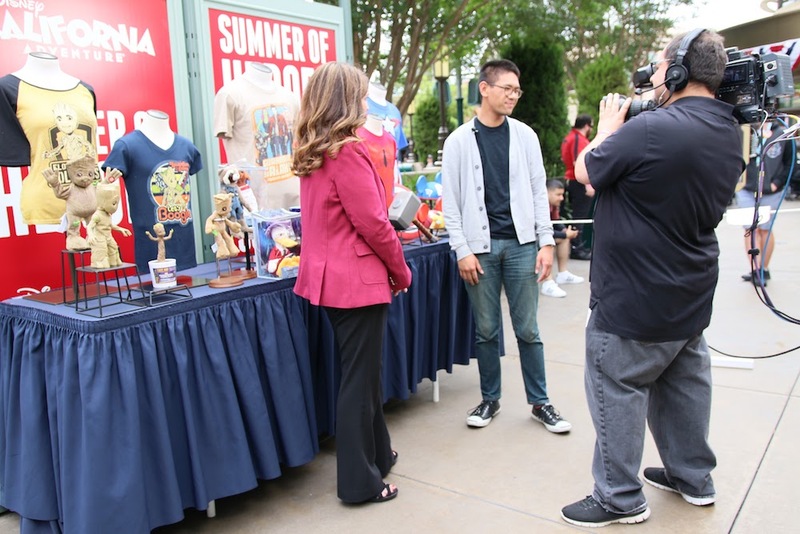 Thank you to Square-Enix, Disney Interactive Japan, and Tetsuya Nomura for this wonderful opportunity! Be sure to follow DisneyExaminer for more Kingdom Hearts news. 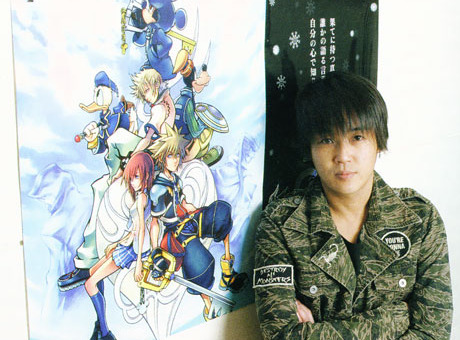 If you had the opportunity to sit down with Tetsuya Nomura, what would you ask him? Perhaps something about Kingdom Heart 3? 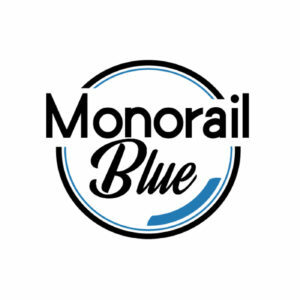 Tell us your questions in the comments!